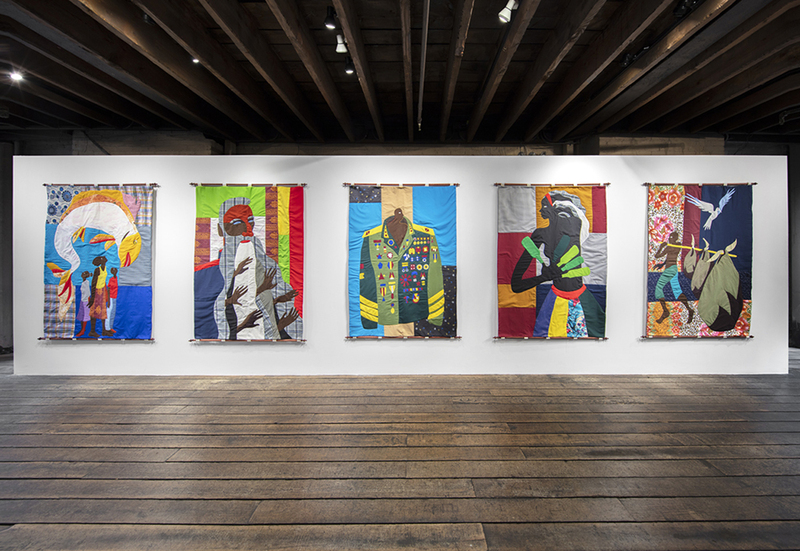 Maping the dreams of migrants, artist Christopher Myers presents three bodies of work on three floors of Fort Gansevoort Gallery, entitled Let the Mermaids Flirt With Me. 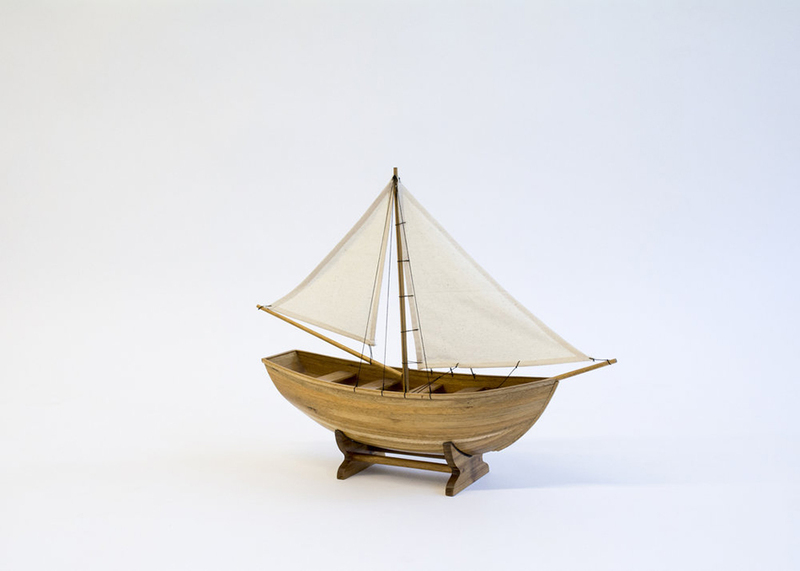 The work ranges in medium from appliqué tapestries that borrow equally from Matisse, Gee’s Bend and Asafo Flags ~ delicate embroideries ~ and a series of model boats drawn from stories of refugee youth that Myers worked with in Munich, Germany in 2016. One of these young people, a spirited teenaged girl from Nigeria who had been rescued from the Mediterranean on an inflatable raft, said to Myers, “Who will remember the boats we came on?” This question inspired this body of work, thinking through concepts like Paul Gilroy’s Black Atlantic and what it means to live on the hyphen between African and American. 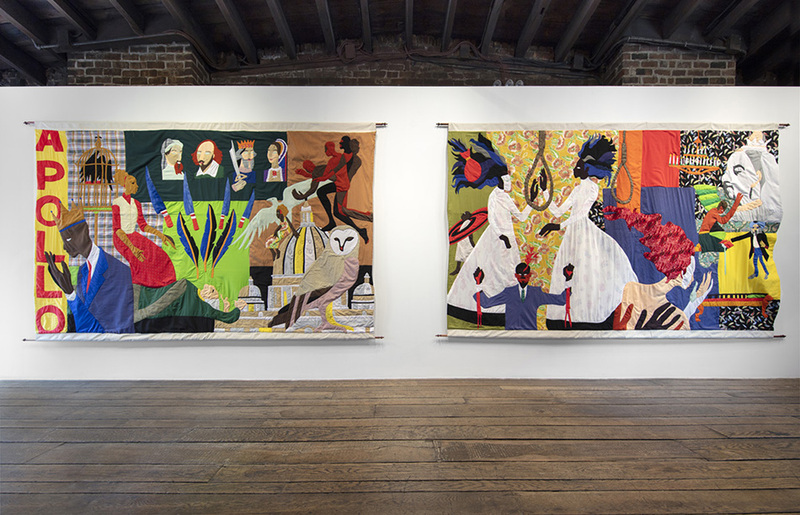 Using traditional techniques like quilting, embroidery, ship-building, and sail making, and working with craftspeople from Saigon and Luxor as well as his own hands, Myers tells the story of a world that is connected through craft and image, a conversation with people that find themselves “in-between.” He has been thinking about African-American history and culture as the grandparent of such liminalities, (he writes, “We were the first hyphenated peoples.”) using the metaphors and modes of the culture he grew up in, to talk to a global context that increasingly finds itself living on the hyphen between geographies and dreaming. 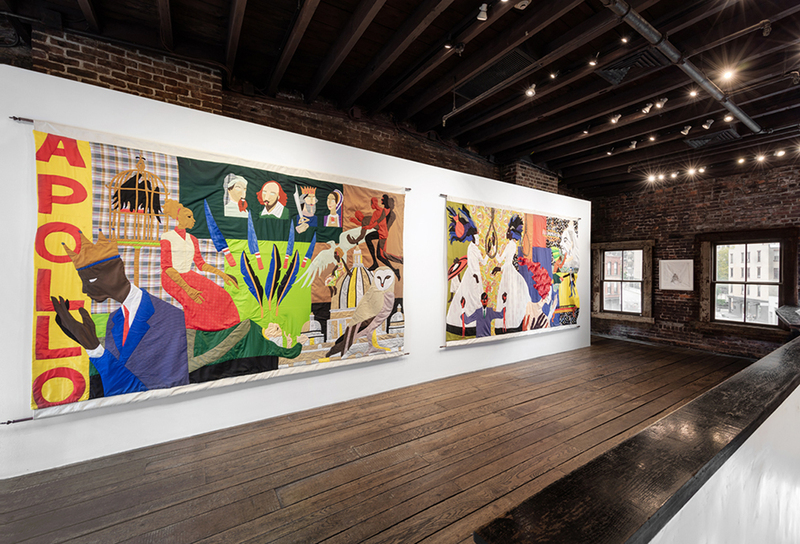 Christopher Myers: Let the Mermaids Flirt With Me will be on view to October 27, 2018 at Fort Gansevoort Gallery, 5 Ninth Avenue in the Meatpacking District. 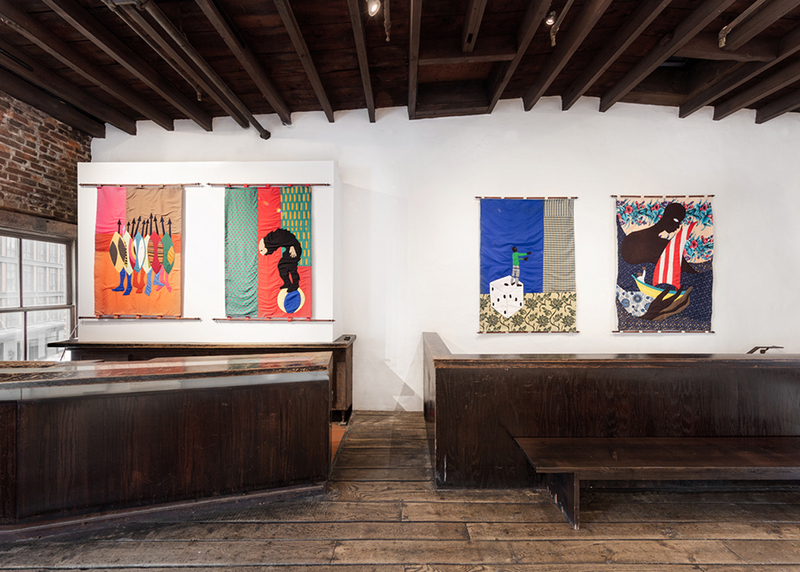 The exhibition will be accompanied by several events and special programming with a diverse range of artists, performers, and writers that have worked with Myers in the past. Concurrently, Myers will be opening the show “Jack &” at the Brooklyn Academy of Music’s Next Wave Festival, a collaboration with the theater artist Kaneza School, an evening length work conceived by her, a meditation on prison re-entry and dreaming, which he both designed and contributed text.